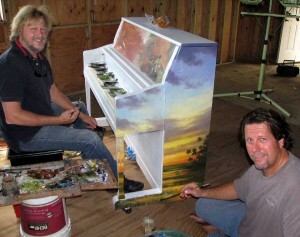 Peter spent several days at Wekiva Island www.wekivaisland.com working on a charity project to paint a paino which will later be auctioned. Pictured with Peter is highly aclaimed Florida landscape artist, Tom Sadler. 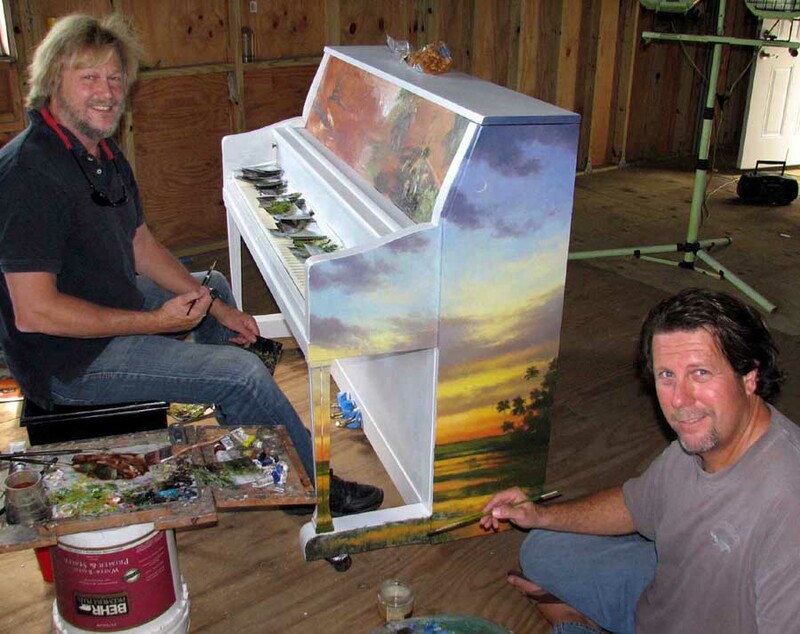 Several more artists will also be adding their inspiration to the piano, which will be on display during the Wekiva Paintout www.wekivapaintout.com from March 5th through the 11th. 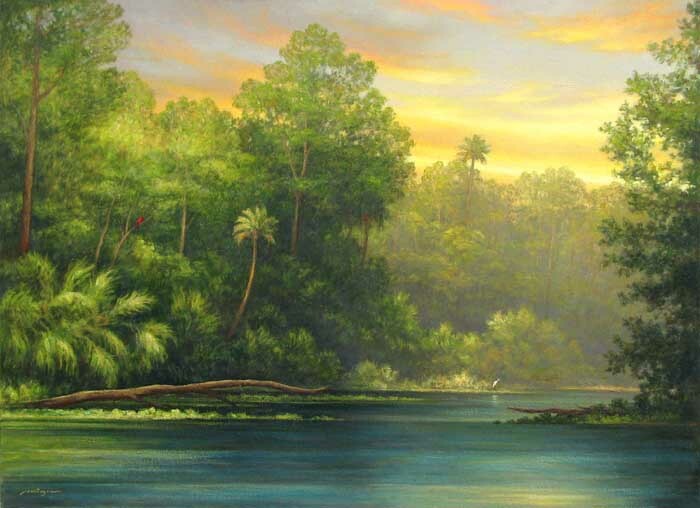 You are currently browsing the Peter Pettegrew blog archives for February, 2012.